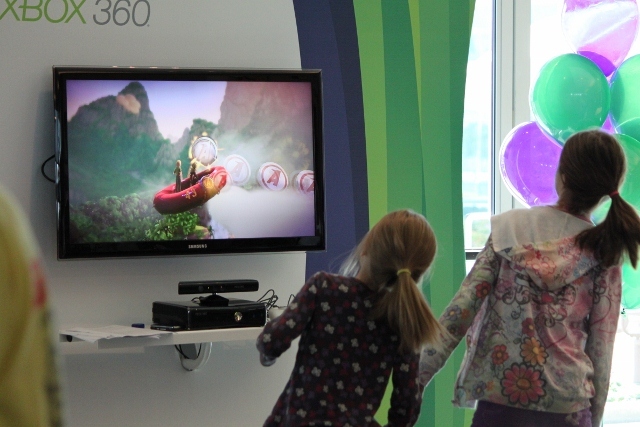 Microsoft Canada had a ‘Kinect™ Kids’ Day’ at their head office today. It was to introduce Kinect, their latest game technology which works with the Xbox 360 game system, to kids and their parents. Kinect is really fun and easy for kids to play with because they do not need to hold on to a controller to interact with the system. Instead, the system recognizes the players’ movements, gestures and voices.